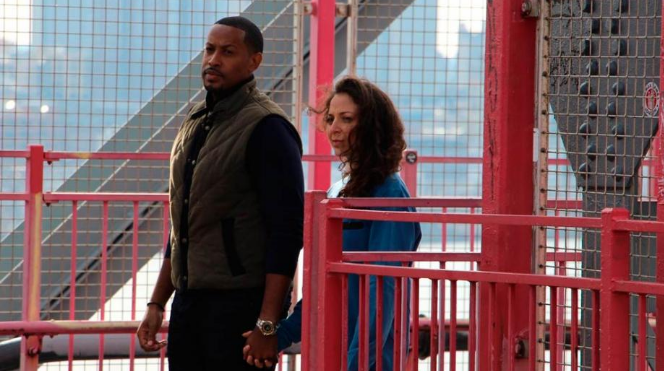 Studio(s): Cinelou Films, Envision Media Arts, Shenghua Entertainment, Voltage Pictures, Cinelou Releasing, Warner Bros. Cast: Eddie Murphy (Henry Church), Britt Robertson (Charlotte), Natascha McElhone (Marie), Lucy Fry (Poppy), Thom Barry (Frankie Twiggs). Story: Eddie Murphy is back in his first live-action performance since 2012’s A Thousand Words with Mr. Church. 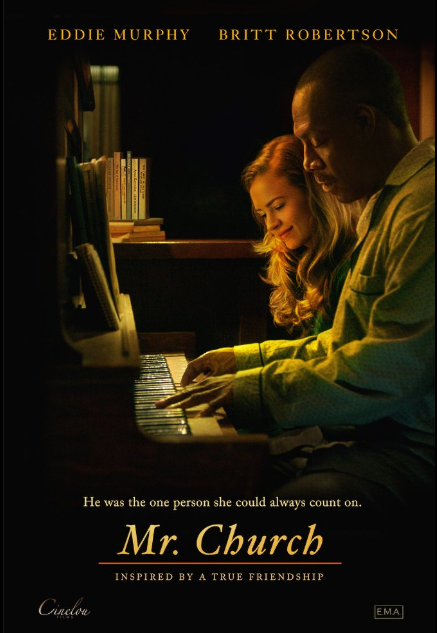 Rather than much of his past work, the film is not a comedy, but a drama concerning the titular Henry Church (Murphy), a talented cook with a love of jazz who is hired by a dying mother as help for her six year old daughter. While the arrangement is set for six months, it develops into a 15-year journey of friendship and care. Source: The Film Stage; IMDB. 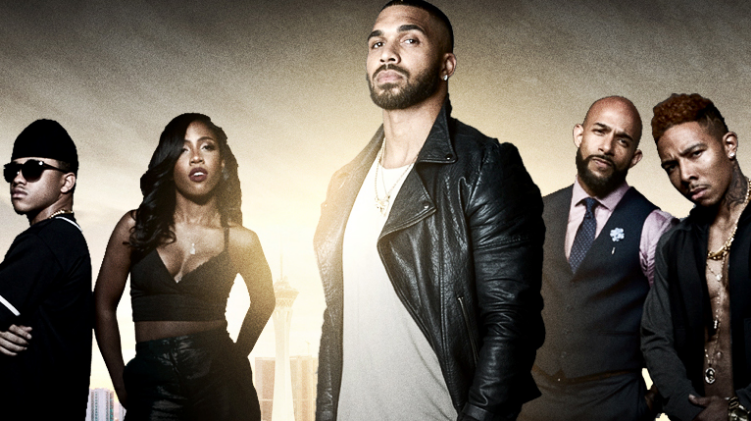 Cast: Allen Maldonado (Spencer), Tequan Richmond (TC), Tyler Lepley (Jaxon), Sevyn Streeter (Selita), Raney Branch (Indera), Kwame Patterson (Fee), Jackie Long (Payton). Story: The biggest fight in boxing history will take place May 5 in Las Vegas, Nevada. Spencer ‘Timber’ Collier defends his title against the undefeated Jaxon Holley. “Boxing 365,” the popular documentary series, chronicles the events leading up to the big fight. Jaxon, a college educated boxer, deals with the issue of being his brother and his sister’s keeper. Jaxon’s record label is in the red due in part to the fact that his only artist is his very untalented little brother, TC. In addition to the backstabbing seedy world of the boxing and recording business, Jaxon’s baby sister, Selita, a young, naive woman gets involved with his top heartbreaking producer. Considering all the distractions of the world of gambling, groupies and drugs, Jaxon falls in love with a freelance photographer, Indera, who may not be who she claims to be. Oddsmakers don’t give Jaxon much of a chance against the much bigger steroid abuser, Spencer Collier. Jaxon Holley eventually figures out that fighting in front of millions is less stressful than all the drama that leads up to the big fight. Source(s): TVOne; IMDB. Cast: China L. Colston (Emon), David Roberts (Idreese), Wilson Aldas (Bill), Gha’il Rhodes Benjamin (Welela), Eric Brown (Barber), Thaddeus Daniels (Mr. McCullough), Harold Dennis (Frank), Yohanna Florentino (Pam). Story: The ticking of her biological clock brings Emon, a hard-driving executive in line for a big promotion, to a decision not shared by her amiable husband Idreese in this intimate drama. A guilty secret buried in her past and an unspoken trauma lurking in his brings on a crisis, as the future of their seemingly perfect marriage hangs in the balance. Facing unfinished business with former partners and making peace with actions that cannot be undone become the keys to healing. Source(s): Siskel Film Center; IMDB. Cast: Irma P. Hall (Grandma), Jo Marie Payton (Maebell), George Wallace (Greg Parsons), Anthony Fort (Jarvis Cook), Brandon Lewis (Jerico Walker). Story: Set in the Jim Crow South and bursting with goofy musical numbers and slapstick, Jerico takes the daring step of creating high comedy from the darker and more violent aspects of segregation. A Klan action over an African American man’s bid for promotion at work leaves a family legacy that the next generation is forced to reckon with on the very day the Civil Rights Act passes. Crazy chases, ruses, redneck villains, romantic missteps, and a black man in white face all keep this plot humming, as two guys just trying to get to work become unintentional heroes on that fateful 1964 morning. Source(s): Siskel Film Center; IMDB. Studio(s): Beachside Films, Lichtblick Media, INDI Film GmbH, Südwestrundfunk. Cast: Craig Robinson (Curtis Gentry), Markees Christmas (Morris Gentry), Carla Juri (Inka), Lina Keller (Katrin). Story: Centers on 13-year-old Morris, an African American boy who has just relocated with his single father to Heidelberg, Germany. 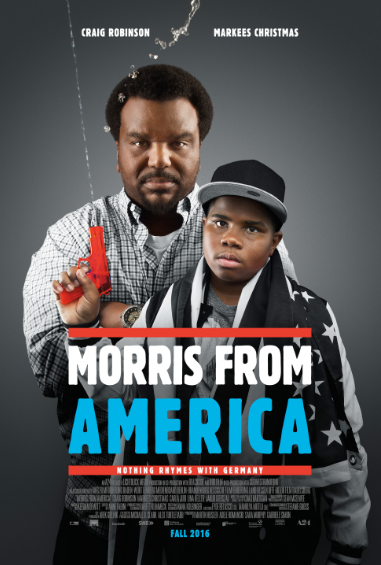 Morris, who fancies himself the next Notorious B.I.G., is a complete fish-out-of-water in his new home, but then he meets the rebellious, hip Katrin, and instantly falls in love. To complicate matters further, Morris quickly falls hard for his cool, rebellious, 15-year-old classmate Katrin. Morris sets out against all odds to take the hip-hop world by storm and win the girl of his dreams. Source(s): A24 Films. Cast: Sarah Grace Sanders (Kelly), Shadner Ifrene(Charles Joyner), Lamar K. Cheston (Jackson), Hazel Dolphy (Karene). Story: An interracial marriage undergoes a trial by fire when a dispute over the Thanksgiving turkey precipitates an emotional look at the very roots of the relationship. 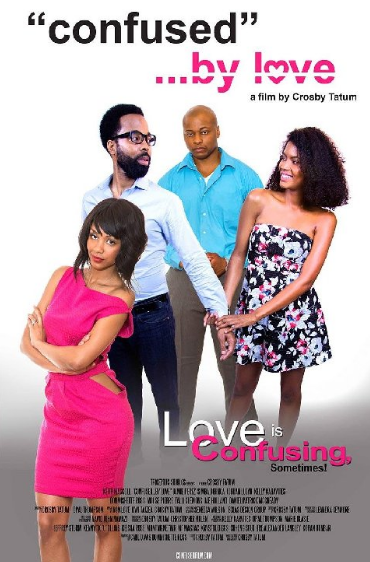 In order to achieve cultural veracity, the biracial production team divided responsibilities, with Saquan Jones (African American male) directing Charles (Ifrene), the African American husband, and Erin Ryan (Caucasian female) directing Amanda (Bloom), his Caucasian wife. Flashbacks point up the sexual chemistry that underlies the couple’s love, but glaring cultural differences come into play, sometimes humorously, when friends and family enter the equation, and a toddler son begs the question of identity anew. Source: Siskel Film Center. Cast: Keith Mascoll (Ferguson Middlebecker), Jamie Perez (Tiffany Marie Middlebecker), Simba Dibinga (Reggie Maxwell), Jordan Lloyd (Joline ‘Jo Jo’ Thompson), Kelly Karavites (Mr. Robert Wilson), Donmishette Ross (Susan). Story: The one-year marriage of Ferguson, a shy, bespectacled author, and his spendaholic Gucci-gal wife Tiffany seems headed for the rocks. Arriving only steps behind the foreclosure notice on their posh suburban split-level is Ferguson’s high-rolling pal Reggie, with significant other Jo-Jo, who just happens to be Ferguson’s ex-girlfriend. Reggie makes a financial proposition, and the stage is set for games, not strictly limited to Truth or Dare and Spin the Bottle. Source: Siskel Film Center.